Sandler’s technical presentation looked at the many ways the power supply impacts RF, microwave and high speed digital systems, and he also covered some techniques for simulating, measuring and trouble-shooting these complex issues. 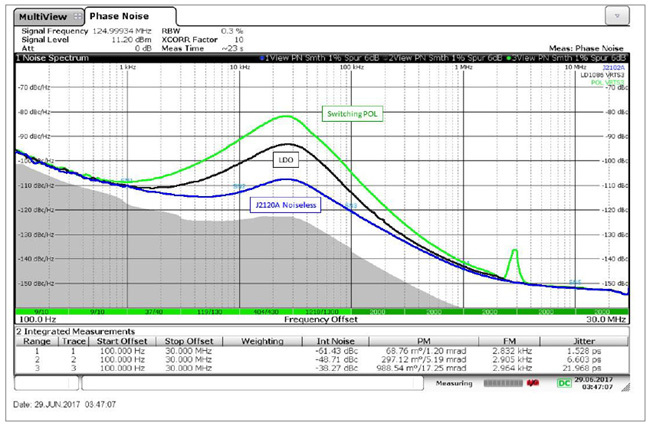 By way of example, he showed how various power sources can significantly affect phase noise of an oscillator. He opened and closed the presentation by discussing what a clear definition of power integrity is, and concluded with his own definition: power integrity is a complete ecosystem dedicated to providing the appropriate power to all load devices, without degrading overall system performance. He pointed out that just minimizing impedance between power and ground does not necessarily work. 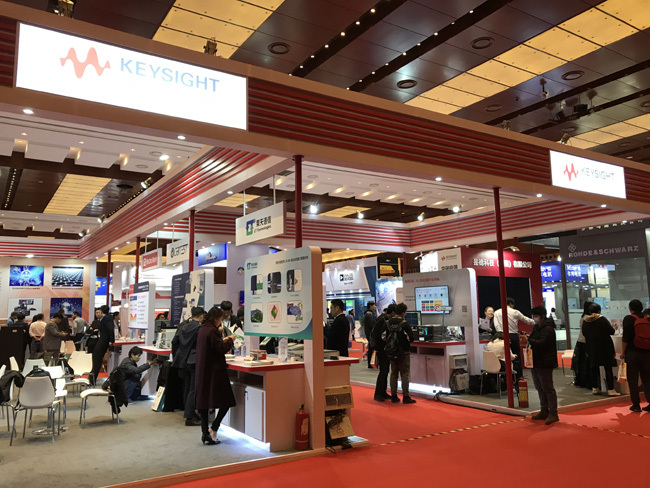 Following Sandler’s discussion, Roger Nichols of Keysight reviewed the status of 5G rollouts and challenges ahead while Alexander Pabst of R&S reviewed 5G OTA testing methods and solutions. 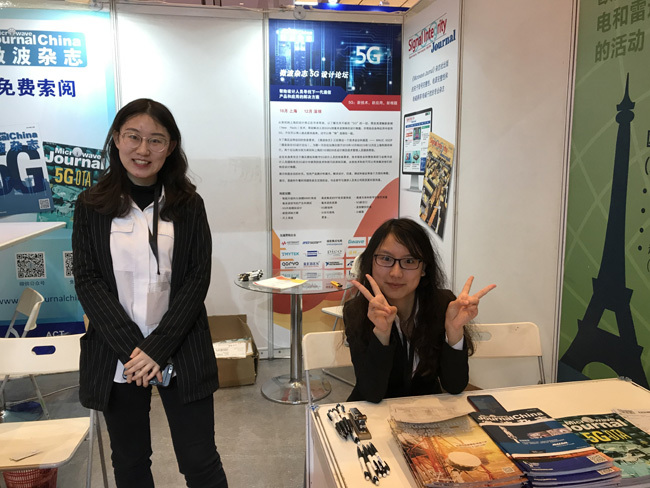 This offered attendees a nice mix of the status of the 5G industry combined with the solutions that have been developed to address the challenges facing the industry. Materials, PCBs, & Packaging Winner: WIN Semiconductors, MW plastic QFN Package Series. 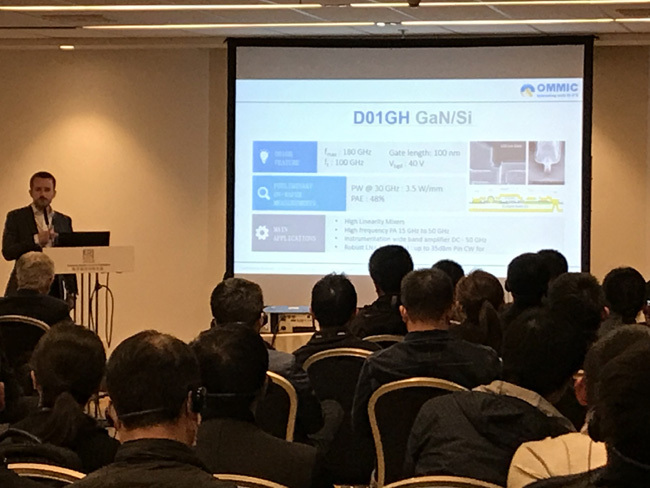 All three days included technical presentations based on abstracts that were peer reviewed by the EDI CON China 2019 Technical Advisory Committee. 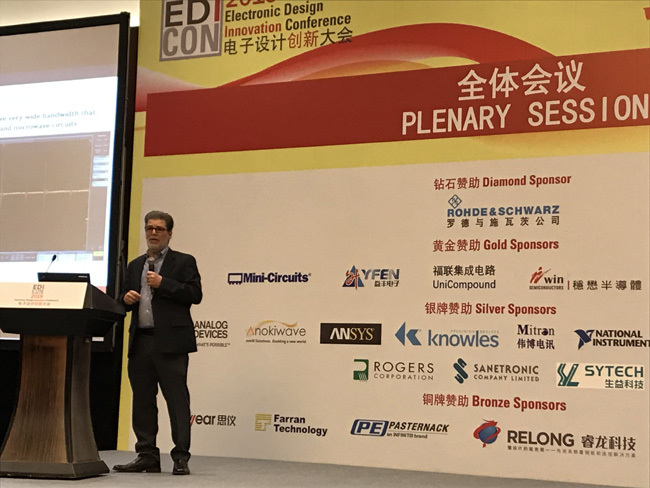 The conference also included workshops presented by EDI CON China sponsors, covering application and product specific topics and offering hands-on advice for how to use systems, devices as well as test & measurement and simulation and modeling equipment in the latest electronic designs. Show-floor applications talks were open to all attendees and offered insight into best design practices in the Frequency Matters Theater. These proved to be popular in their first year as attendees could just drop in on these talks and rest their feet for a while and listen. 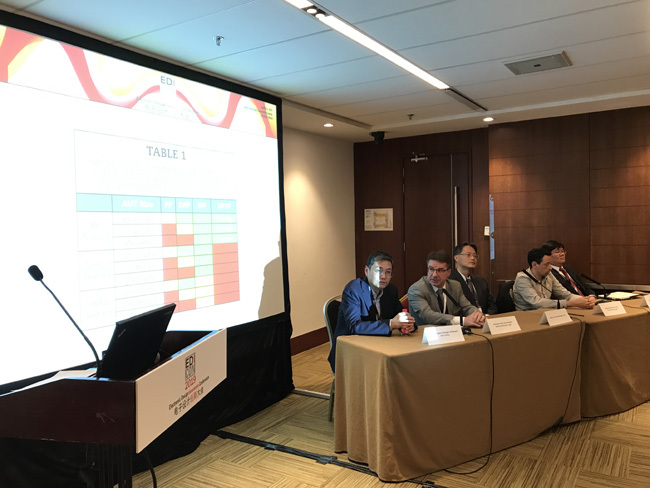 EDI CON China 2019 hosted two panel sessions made up of industry experts from around the world. The “5G Over-The-Air (OTA) Test” panel examined how massive MIMO, dynamic beamforming and the absence of RF test ports on devices and systems are making OTA testing critical to 5G deployment. The panel of industry experts reviewed the options for OTA testing such as near-field measurement, indirect far field measurement, and reverberation chamber techniques that would be practical for production measurement of 5G devices and systems. In the “State of GaN Technology” panel, semiconductor foundry and device manufacturer experts reviewed and debated the state of GaN manufacturing covering topics such as reliability, advanced heat dissipation techniques, new pack- aging innovations, Si vs. SiC substrates, mmWave GaN devices, using GaN for other device types such as switches/LNAs/mixers, and the state of GaN semiconductor production in China. Overall, the event attendance was up 6% over last year so EDI CON China continues to grow. Next year the event moves to May 12-14 and back to its normal fourth floor location at the CNCC. 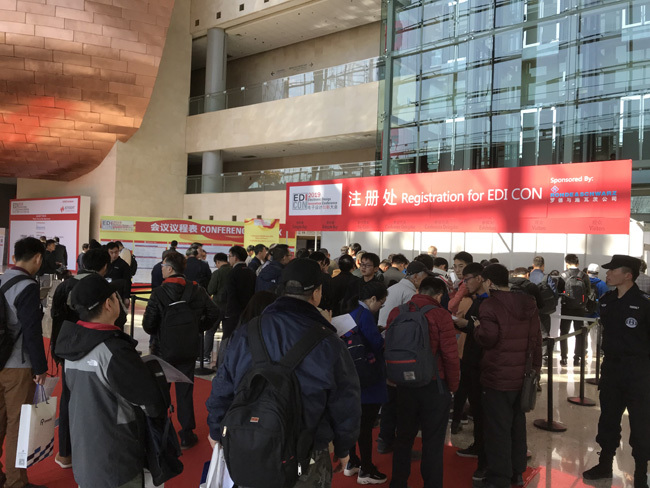 EDI CON China plans to expand the event even more next year with more sessions and companies featuring signal and power integrity topics, while continuing to provide in-depth discussions of RF/microwave and EMC/EMI topics.